I have watched plenty of sword fighting anime since I was a kid. I have compiled a list of the best sword fighting anime series for you here. Keep in mind this is my own personal ranking, so feel free to suggest yours here. Enjoy! 2022, Sword Art Online, a new brand of VRMMO, has been released. Kirito is one the 10000 that logged in to SAO during the first day. Unfortunately, they found themselves soon unable to log out and trapped inside this deadly game. 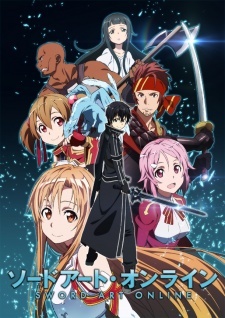 Like the name says, this anime completely focuses on sword fighting. Contrary to most MMO, SAO doesn’t have a magic system. All the player can rely on are the sword skills. Sword skills are system assisted, but you have to do the motions yourself. Kirito itself is a dual wielding swordsman, and has the fastest reaction time in the game. 3 misfits goes on adventure together in search of a mysterious samurai that smells of sunflowers. Fuu is a ditzy waitress, Mugen is a wild vagabond and Jin is a mysterious stoic ronin. The three of them travels all over Japan in adventure. 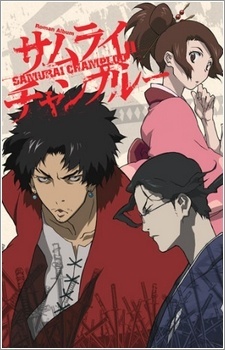 Samurai Champloo is a unique anime that combines the Edo era setting with rap and hip-hop. The samurai battles in this anime are fluid and dynamic. Jin has your standard samurai fighting style while Mugen’s is pretty unique, incorporating breakdancing and other unconvential stuff in his fights. Ichigo Kurosaki can see spirits, after witnessing and participating in one of the fights between a Shinigami and a Hollow, he ended up with Shinigami powers. As a Substitue Shinigami, he was forced to take on duties protecting his town from evil spirits and guiding souls to the the afterlife. 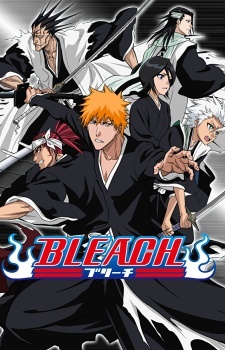 Bleach focuses on sword fighting. The shinigami’s weapon, the Zanpakuto, is a katana. Ichigo’s main weapon is a large sword that turns into a katana. Aliens have invaded and conquered Edo Japan. Gintoki is a freelancer, doing odd jobs here and there to make ends meet. Along the way he meets Shinpachi a guy that wants to be a samurai, and an alien girl name Kagura. The three of them starts a freelance shop. While mostly a gag anime, the fights in this anime rivals Bleach in terms of action. Gintoki is an excellent samurai and was known as the “White Devil” back during the war. 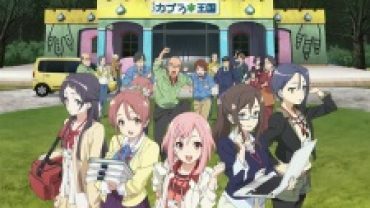 If you want to watch a gag anime with good fights here and there this is the best choice. But be warned, some of the arcs are pretty sad and heavy. 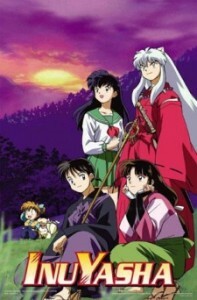 Kagome is a 15 year old girl from Tokyo who timeslipped into the Sengoku era after falling into a well. There she mets the half demon Inuyasha. The two goes on a journey after Kagome unwittingly destroys the jewel embedded inside her to prevent Naraku, a powerful demon from collecting all the shards. Inuyasha is a classic anime with some good fights. Inuyasha fights by wielding a sword named Tessaiga that’s created from the fang of his father. Oh man… SAO… wow… you can’t write stuff so hilarious. SOA isn’t bad at all. The first season is really good actually. Tokyo Ghoul is NOT a swordsmanship anime. Also the best out of all these is Bleach followed by Fate/Stay Night. Author must’ve been a 15 year old. Bruh you stupid. He basically uses a sword or a melee type weapon in the game. it’s not STUPIIIID!!! it’s called ANIME and if you do not like then why should you read it anyway?? You retard. After they finish the game. It goes to reality. SAO is coming back.Its 3rd season is coming in October,SAO alicization.